That zoom blur does give the impression that they are marching forward together. Nice framing. I love this completely! The great sky really complements the black and white cows, and the motion is perfect! Well done with the one face in the center in focus. this is quite scary! 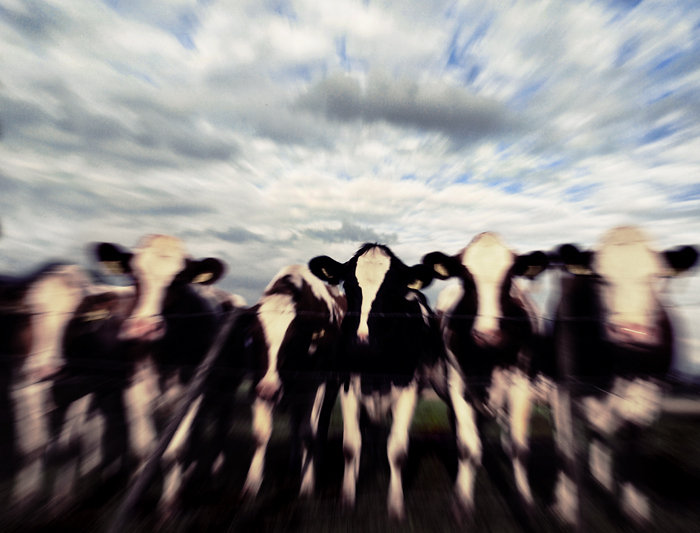 the cow gang ready to attack! Cool cows. And sorta looks like a lot of convicts lined up on road repair duty. OK, perhaps I need to up my meds???? I think these guys look a little menacing. Love cow pictures, this is nice. Proudly hosted by Sargasso Networks. Current Server Time: 04/22/2019 06:17:02 PM EDT.